The vaping journey can be a long and winding road. For many people, that journey begins with a low-end, store-bought e-cigarette. With ZERO knowledge or expertise with e-cigs, the ease of picking up a cheap disposable product from a local gas station or convenience store can be hard to pass up, especially if you're curious about electronic cigarettes. Although they can act as a decent intro into the vaping world, cheap disposable e-cigarettes often leave users dissatisfied; doubtful about whether or not they can substitute, or possibly help them quit smoking. Don't be discouraged! There are better, more satisfying options available, and you won't find them at a neighborhood retail outlet. As the name suggests, disposable e-cigarettes are designed for one-time use and are thrown away when you're done. 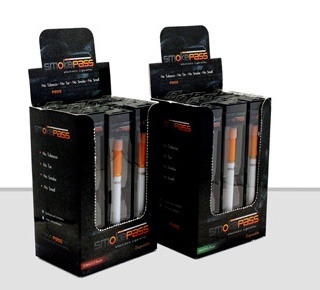 Available almost everywhere, they last about 300-500 puffs, equivalent to 1-2 packs of cigarettes. The low-powered batteries provide limited life and minimal vapor, making it a stretch to compare them to traditional cigarettes. Some brands are better than others, but the weak performance leaves many users craving more. 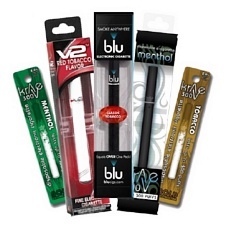 Flavors are usually limited to tobacco and menthol, and cost-wise, they can be quite expensive over time. Rechargeable e-cigarettes come in various shapes and sizes, with the smallest and most common being a mini, or "cigalike" setup. They look exactly like disposable e-cigarettes, except they're rechargeable and cost significantly less over time. Because they're reusable, the quality of these products is higher and they also tend to perform better. Rather than throwing them away, you recharge and replace (or refill) the cartridge when they stop producing vapor. Great for light smokers, but lacking the power and vapor production that may be required for moderate to heavy users. The next step up from a mini e-cig is a mid-size, Ego-type device. 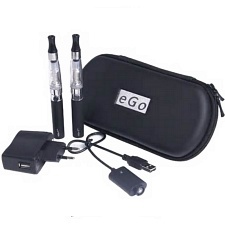 There are several different mid-size brands and models available, but the "EGO" is by far the most popular. Ego models are offered by many different companies and they're slightly larger than a mini - about the size of a cigar. These devices are a little more complex, since they often include refillable tanks and they're manually operated with a button, but they're significantly more powerful and longer-lasting than minis. 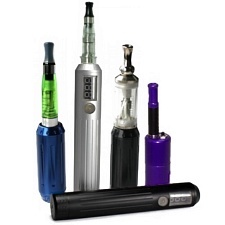 The largest and most advanced electronic cigarettes are known as "mods" or advanced personal vaporizers (APVs). These devices are typically too powerful and complex for beginners, so I won't discuss them in full detail. They often look like a pack of cigarettes (box mod) or large tube reminiscent of a flashlight (tube mod). They include removable Li-Ion cells and advanced features, such as: variable voltage and / or variable wattage, digital displays, bigger tanks and more. If you're currently using a low-end, disposable e-cigarette, the obvious next step is to choose a rechargeable device so you can reduce long-term costs, vape longer and improve your overall satisfaction. Purchasing a rechargeable "mini" e-cigarette might be OK if you're a light smoker and having a cigarette-sized device is absolutely necessary, but I almost always suggest that beginners move right into a mid-size Ego product since they perform so much better than a mini. They last 3-4 times longer, produce much thicker, more satisfying vapor and provide you with so many more options in terms of e-liquid and flavors. Here are just a few Ego-style products worth considering: Apollo Superior Ego, Halo Triton and the Vapor Zone Pro Kit. It's easy to get discouraged if your only experience with vaping is a cheap, store-bought e-cigarette, but if you invest a little more money upfront and purchase a higher-quality, rechargeable setup, you'll undoubtedly find it more enjoyable; it might even be a viable replacement for your analog cigarettes and help you quit smoking. There are numerous places to shop for high-quality setups online, and dedicated "vape shops" are becoming more-and-more common. Before you visit your local Walgreens or Marathon station, talk to someone that actually knows about vaping and evaluate all of your options.